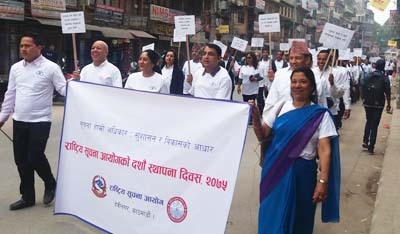 GoGo Foundation team with its banner actively participated in the Rally organized by the National Information Commission (NIC) on its '10th Anniversary' of the establishment on 6 May 2018. 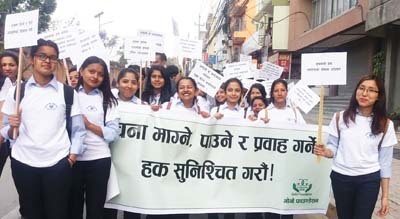 Rally was quite impressive to generate awareness on Right to Information (RTI). 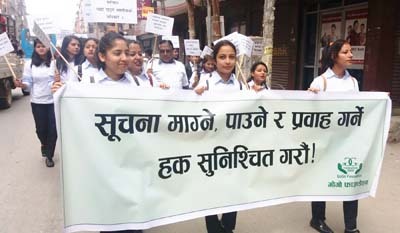 In the rally, students from different colleges, Information Officers of the ministries/departments including RTI activists took part with gusto and fervor. Rally traveled from Bagbazar to NIC's premises at Baneswor, Kathmandu.